I was introduced to Azariel Levvi through Heretic. We were chopping it up and he was telling me that I should link up with this cat he knew because he had that "Golden Era" vibe that would compliment the stuff I was working on. I watched the video he had for "It's Like That" and heard some of his tracks and was feeling what he was doing. I was honestly impressed. This cat is doing what I was trying to do at his age and in my opinion... better. Not too long ago, Azariel dropped this joint on his soundcloud page and when I pressed play, all I could do was say, "damn..." "Madison Ave" starts off as a reminiscing track about his younger days, but as it progresses, it turns into an amazingly personal song. Vulnerable... deep... and simply dope. The title says it all. The dude JO, The Klinik & DJ Spoolz dropped this LP out of nowhere. Total left field ish and so worth it. Cop this and get down! It... is... here. "Yo... we bad meaning BAD!" What started off as a fun side project turned into a movement. Vintage DOPE's self titled debut is an ode to DJs, DJ culture and classic west coast production that is summer time theme music with the windows rolled down. Simply put... "Cratebangin". No guests, no gimmicks, just crates and lyrics. 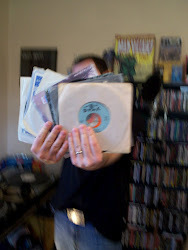 Tuck your chains, they're coming for your records! You can purchase t-shirts, the digi LP and preorder the special cassette pressing of the project on the bandcamp page. #cratebangin' indeed. I need more of this in my life. (period) The project I was just hipped to PHD features one of my favorite new cats, JO. Just last week I heard their track "Really Make you Feel Better" and then the hit me saying they were about to drop a video. BOOM!!! It's on! The title says it all... PHD... PIMP... HARD... DAILY. DAYUM! AND the joint's featuring the homie Ace-One and DJ Spoolz. This came out of left field and I'm so happy to be hearing this ish. 7/15 their LP, "Unexpected" will be dropping on Strong Roots Records. Vintage Dope - "Bounce, Rock, Skate"
As we get closer and closer to the release of the Vintage Dope album, we finally get to see a new track from the project. "Bounce, Rock, Skate" is sure to be a party anthem for the summer with classic west coast flavor and party rocking rhymes that are reminiscent of the roller skating jams from back in the day. Roll down the windows and press the volume to 10. A couple months back I was working on remixing "Knuckle Scraper" for the homie Ace-One when I was introduced to J.O. I txt'd Ace and was like, "YO... WHO... IS... THIS... BEAST?" When I heard his voice and flow I pictured something like a mix of Above the Law and Bumpy Knuckles. A month or two later when I was in Indy and at Ace's release for the release of his "Redux" LP I was able to meet J.O. and he looked exactly as I pictured him in my head. To my surprise this morning I was going through my feed on FB and found this project he part of called PHD. (J.O. x Klinik x DJ Spoolz) Straight dope ISH!!! We will have a VERY limited amount of Vintage Dope tees available at the Masta Ace show on 7/10 at The Croc in Seattle. 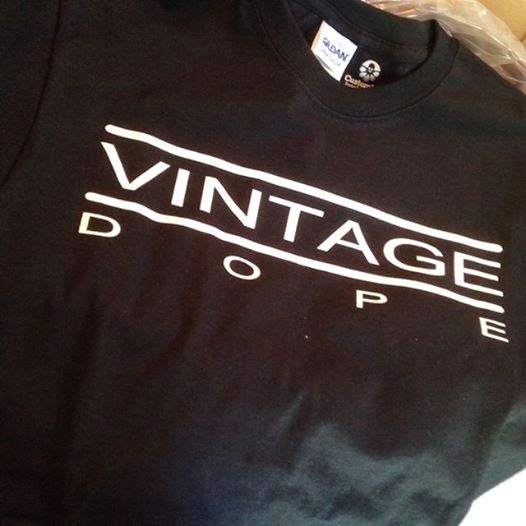 Next week is going to be some big things for Vintage Dope. 7/8 We'll be dropping a new single. 7/10 Opening for Masta Ace & eMC at The Croc in Seattle. 7/11 Opening for Masta Ace & eMC at Jezebels in Olympia.